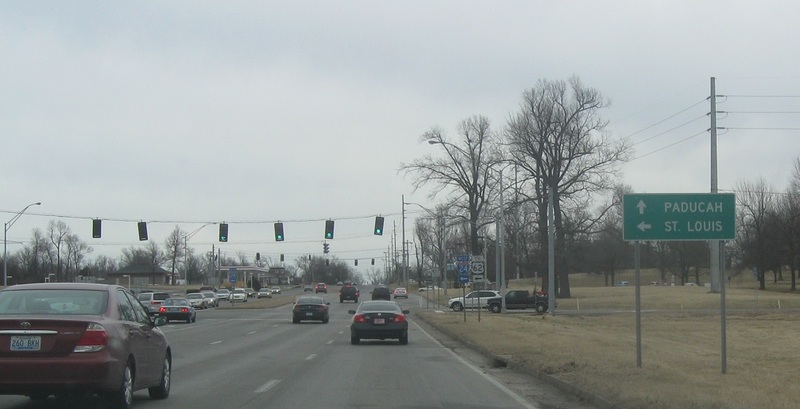 Shortly thereafter, we’ll approach Interstate 24. 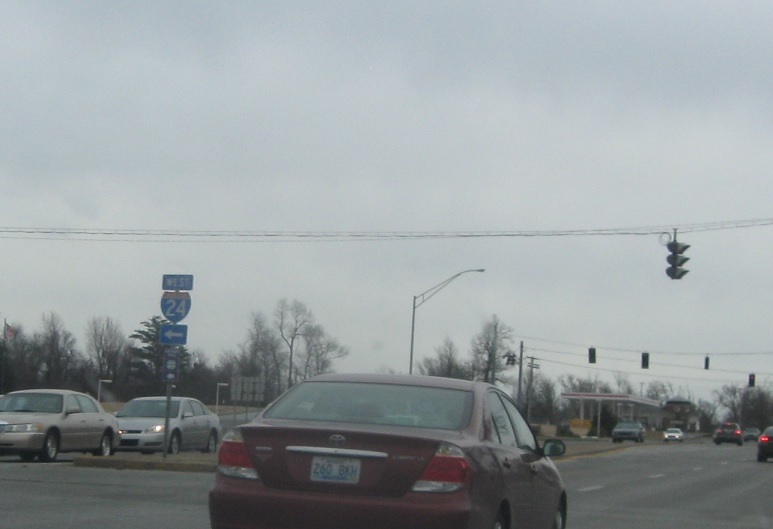 Keep right ahead for I-24 east, but stay straight for US-62. 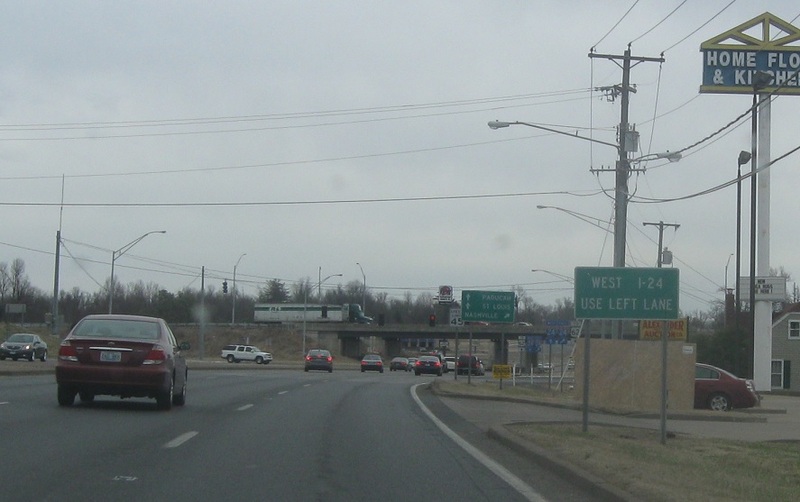 Keep left for I-24 west. 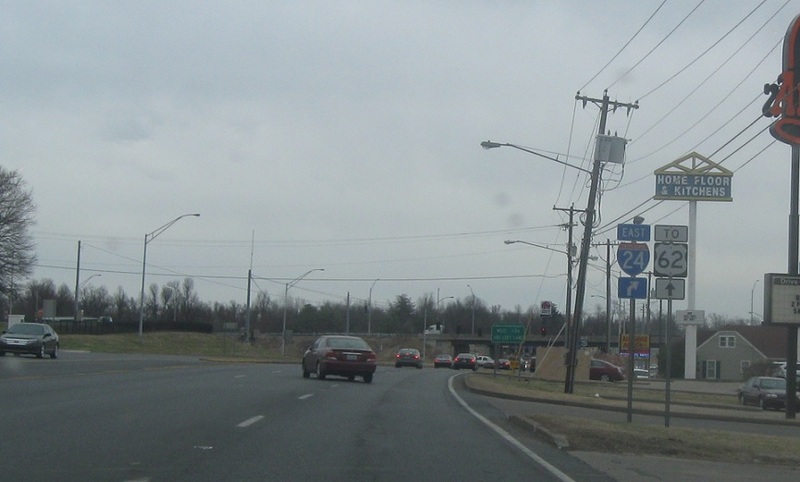 Follow I-24 east to Nashville, Tenn.
Exit right for I-24 east. 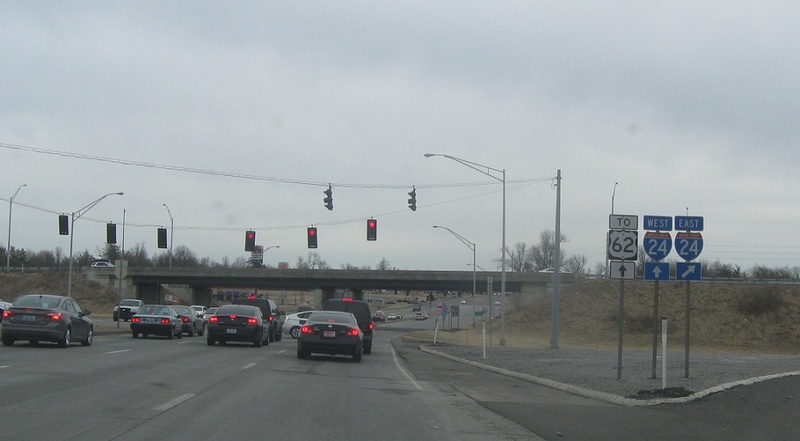 Stay straight to access US-62. 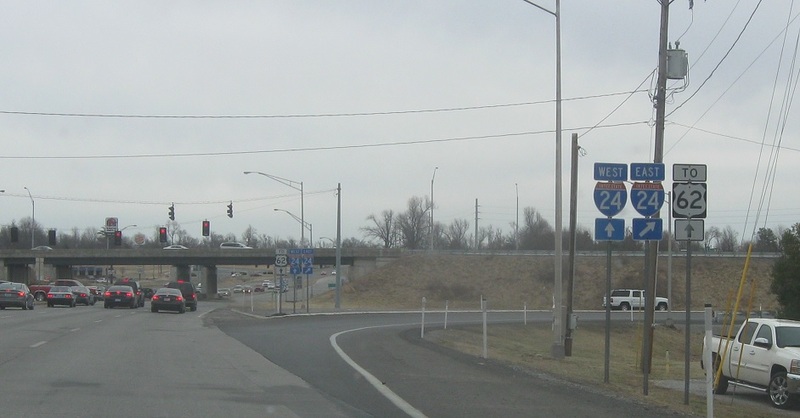 Follow I-24 west to US-62. 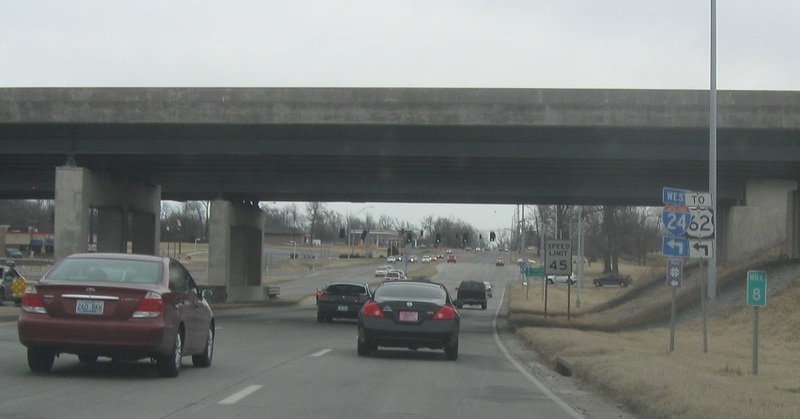 Follow I-24 west to St. Louis, Mo. 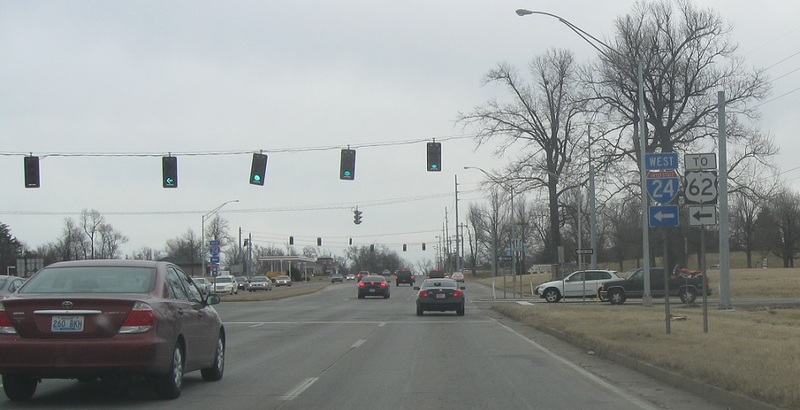 via Illinois. 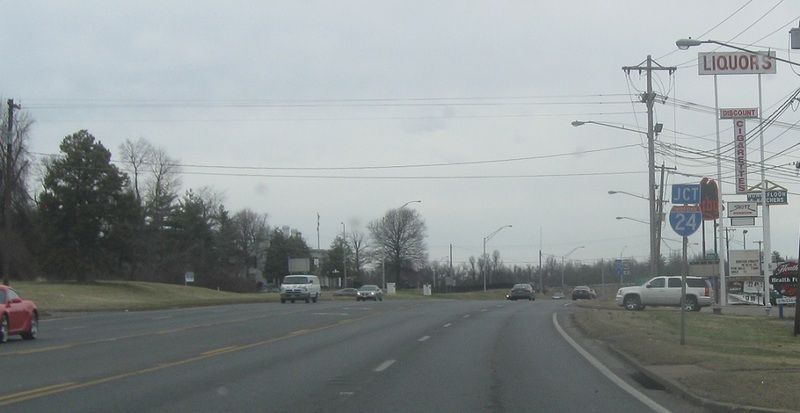 Turn left for I-24 west to US-62. 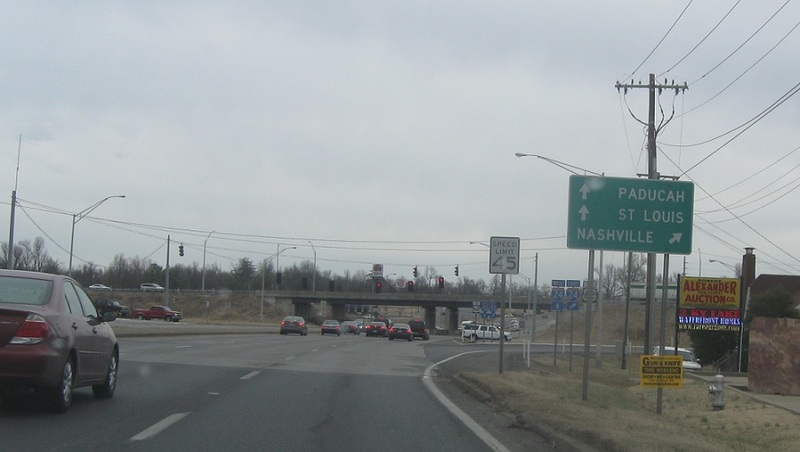 Turn left for I-24 west.